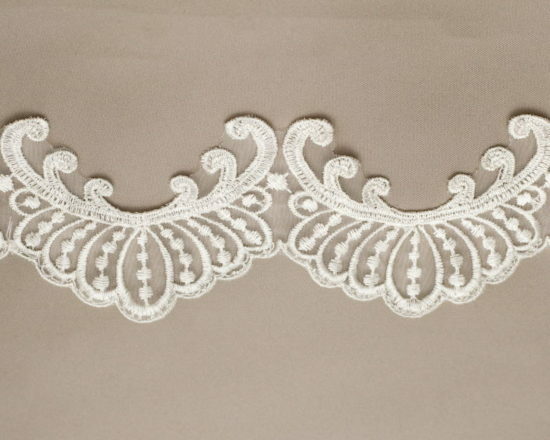 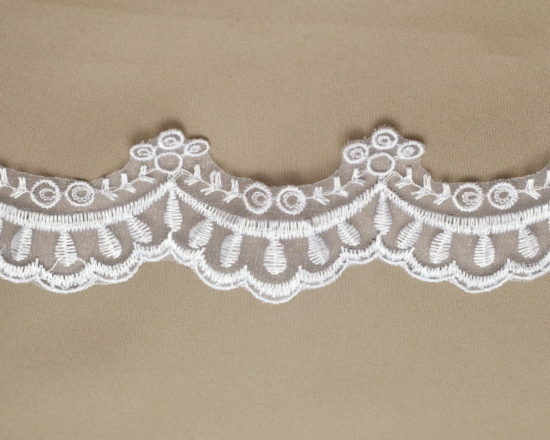 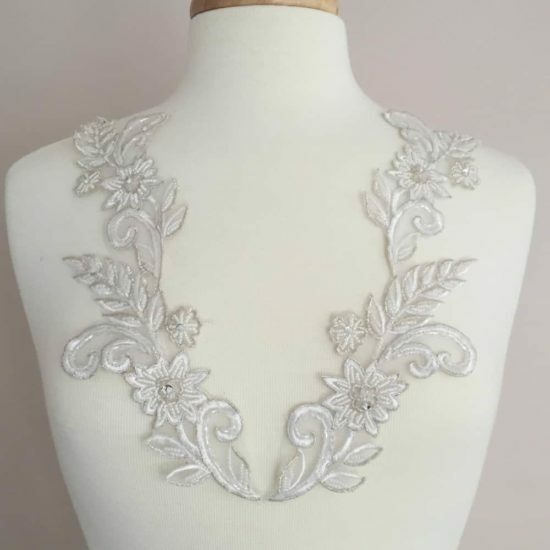 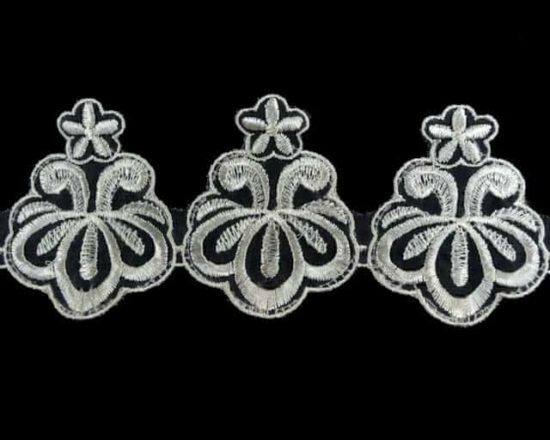 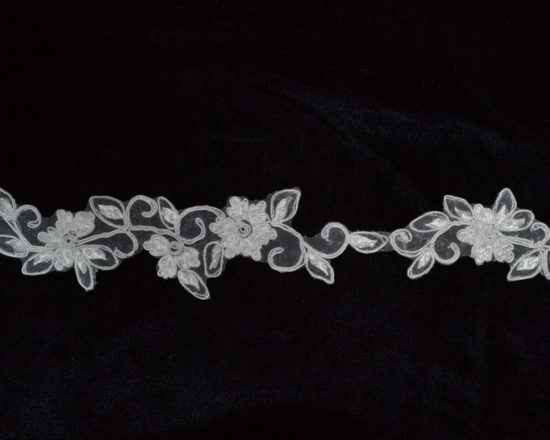 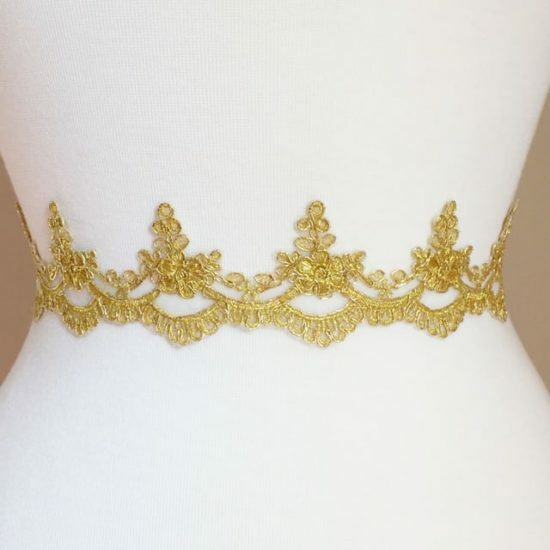 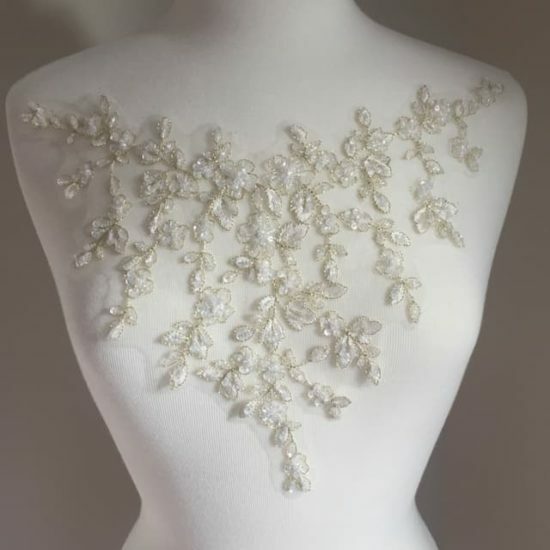 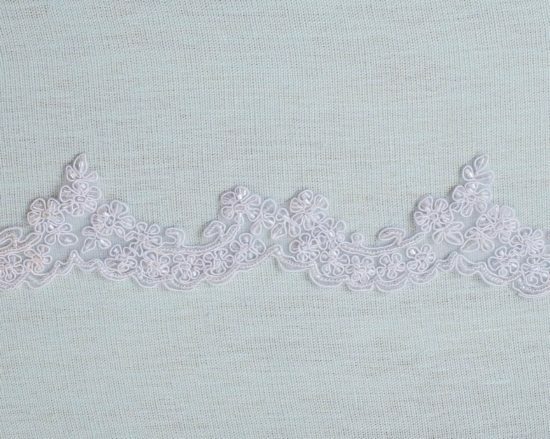 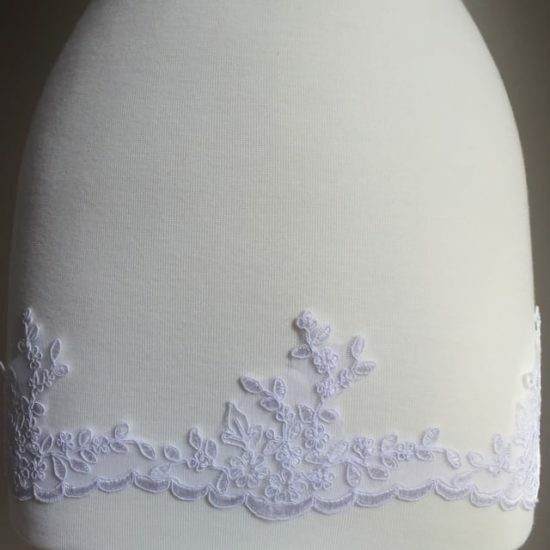 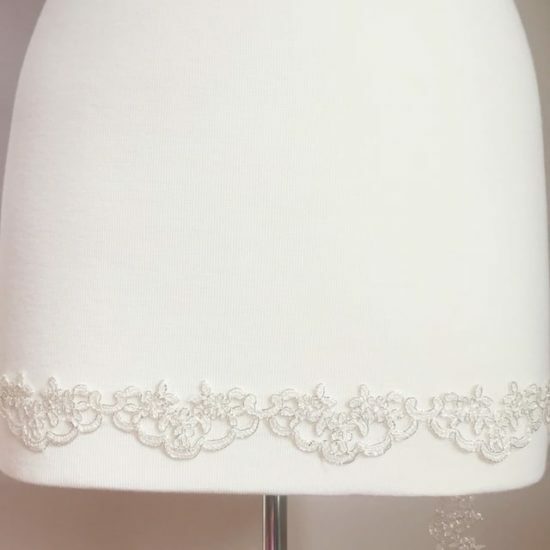 Embroidered organza lace trim. 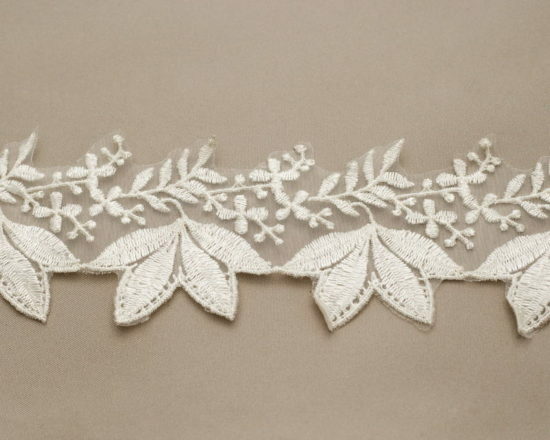 Pretty floral/leaf pattern. 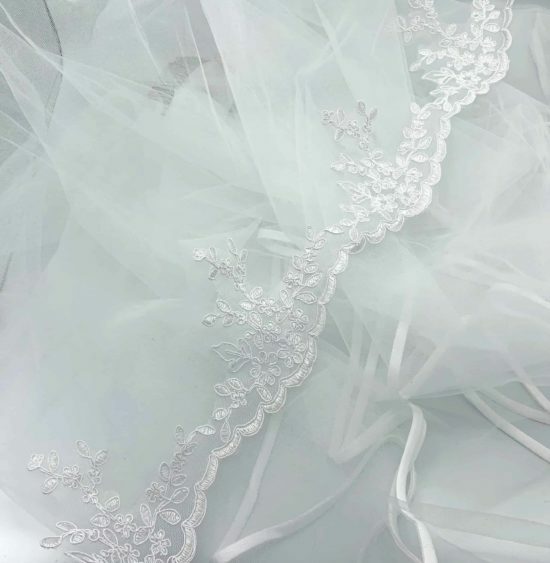 Beautiful as an edging for a veil.